Renaldo Strayhorn, Ph.D., LMFT: Depression, Suicide; & the New Historical Global Events Now a Part of Our Daily Living? Depression, Suicide; & the New Historical Global Events Now a Part of Our Daily Living? 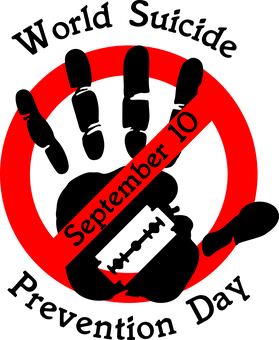 for National Suicide Day to be September 10th, the day before the September 11, 2001 Terrorist Attack. Such haunting images of 9-11 cannot help but bring back dark memories of that period. I have know of some to have birthdays on this day. Some would argue that the celebratory part of birthdays would be difficult to accomplish. For some of us after a tragic event the memory lingers in our unconscious. And it will stay if not addressed, lingering in a cesspool of unease. So these two forces of suicide and tragic events are to be honored and validated. If not we have the psychoanalytic and psychodynamic eruption of the defence mechanism most high. What’s repressed gets expressed. I assert that our country is in a psychic repression and denial of thought and provocative issues. With the recent Harvey and Irma $190 Billion economic downfall and Business Insiders forecast of Harvey and Irma’s emotional consequences who would not be depressed or know someone who is experiencing hopelessness. The challenges of racial divide most recently at UVA in Charlotteville Virginia and one’s political feelings of Deferred Action for Childhood Arrivals (DACA) to DREAMERS relationship to the University of California school system to California’s lawsuit and battle against the current president’s administration leads for further vexing times. With the above short list of national and global stressors in our present everyday lives it only compounds our day-to-day basic living. To deal with work and relationships and health and weekly finances and dept and family and home conflicts is enough for anyone to feel overwhelmed. Now this global and national stuff outside our emotional community? Has it now become global living and no longer daily living? This is where gloom can set in. Hopelessness and helplessness has its opportunity. So if you are the stronger one of your tribe look out for your neighbors and family and family of friends. Look for signs of depression that could lead to suicide. Giving away items of value; talks of hopelessness; verbalizing of “going away” or “giving up” or “ending it” are not to be taken likely. Increase buddy systems for the guy that lost his girlfriend or the one that lost her job. Look for signs and realize that during times of challenge it is far better to be overly concerned than not concerned enough. If you are the valued member of the tribe and are struggling and feeling lost or hopelessness this is the time to take a chance and reach out. The New York Times reported last year that suicide rates were at its all time high. Noticeably our suicide rates with adolescent youth are climbing. As a marriage and family therapist and psychologist in Los Angeles working with families and depression and relationships I try to focus on the positive as life can be short, and it can be a wonderful world. But as a realist I cannot help but be informative to nudge you into a direction of action and awareness. Suicidal Statistic might help us talk about difficult subjects. Suicide is an ongoing mental health crisis that is listed as a top 10 cause of death. Specifically, suicide in Los Angeles and its relationship to mental health is alarming. 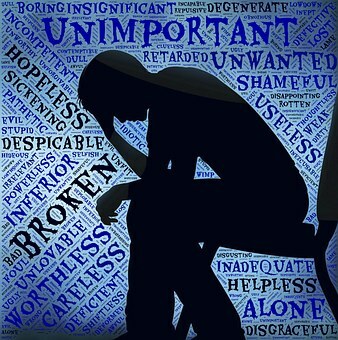 Ongoing studies of people who attempted suicide evidence that the vast majority of people who experience uncompleted acts have remorse and regret their attempt. So, on this somber day of 9/11 let’s honor the day with reflection and empower ourselves so that it and depression and the many national and global and climate challenges do not consume us. For further support and counseling on depression, social stressors and relationships in the Los Angeles area contact www.Renaldo Strayhorn.com @ 818 753 6606 for more information.